Best VPNs for YouTube in 2019 – No more buffering! YouTube has become the world’s greatest repository for user-generated and commercial video. Unfortunately, it’s not available everywhere. 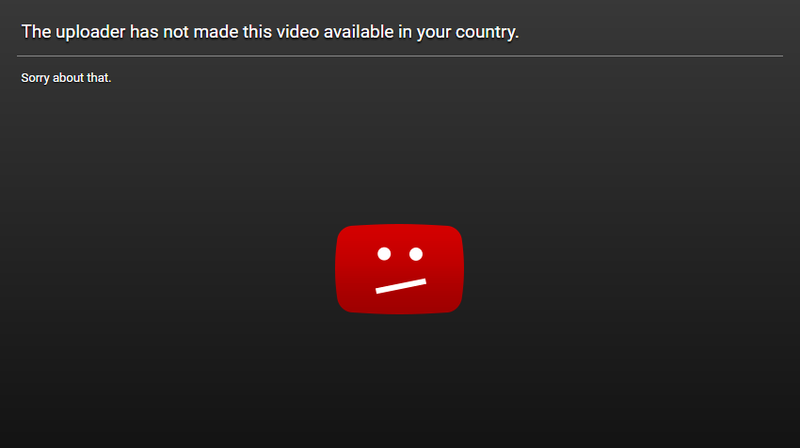 In some countries, like China, YouTube is completely censored. Some content on YouTube is restricted to certain countries due to content licensing agreements, or simply due to the uploader’s preference. The most effective workaround for this problem is a VPN. Short for Virtual Private Network, a VPN encrypts your internet connection and routes it through an intermediary server in a location of your choosing. This assigns you a new IP address, which YouTube and other sites use to determine your location. ExpressVPN Our top choice for YouTube. Superfast servers are ideal for streaming in UHD. Large server network that has no issues unblocking most popular geo-restricted sites. Includes 30-day money back guarantee. IPVanish Speedy enough for watching YouTube without buffering and in HD. Apps are secure and privacy is paramount. NordVPN Budget choice with a large network of servers able to unblock most popular streaming sites. Apps are easy to use and secure. SaferVPN Consistent 4K speeds during testing. Apps are simple and one-click but lack some popular features. VyprVPN High emphasis on privacy and security with fast servers. Not the cheapest option here. PureVPN No issues unblocking geo-restricted YouTube videos, but streaming speeds can be inconsistent. ExpressVPN operates more than 3,000 servers in 94 countries. Every server is optimized for maximum speed. Connections are protected with cutting-edge security standards, including 256-bit AES encryption and perfect forward secrecy. The apps, available for Windows, MacOS, iOS, Android, and Linux are easy enough even for children to use. ExpressVPN recently added a Chrome browser extension as well, so you can quickly set up an encrypted proxy to the server right in your browser that unblocks YouTube and much, much more. Best VPN For YouTube:ExpressVPN is our #1 Choice. It has a vast server network that is optimized for high-speed connections. User-friendly apps for all operating systems. Hard to beat on privacy and security. There is a 30-day no-quibbles money-back guarantee so you can try it risk-free. IPVanish owns and operates its own network of more than 1,300 servers in over 75 global city locations. It’s quick and stable connections allow you to binge watch YouTube without any dropped connections or buffering. Apps for Windows, MacOS, iOS, and Android can automatically select the best server in your preferred location, guaranteeing a solid connection. IPVanish also has a great interface for devices that use remote controls instead of keyboards and mice, such as the Amazon Fire TV Stick. You can connect up to five simultaneous devices on a single subscription. IPVanish records no logs and uses military-grade encryption. Great Budget VPN:IPVanish is ideal for families that need simultaneous connections. Works well with YouTube. Generally solid for torrenters, Kodi users, but look elsewhere if you live in China or want to unblock Netflix. Includes a 7-day money-back guarantee. NordVPN operates more than 5,200 servers in 60 countries. A handful are specifically optimized for « ultra fast streaming », meaning you can watch HD and even UHD 4K video on YouTube. The company maintains a strict no logs policy and utilizes unbreakable encryption. Apps for Windows, MacOS, iOS, and Android let you easily choose a location from a map or a list of countries. NordVPN is one of the best values on offer, allowing up to six simultaneous connections on a single basic subscription. TOP VALUE:NordVPN is a great all-rounder. A great value option which works well for streaming and torrenting. Allows up to 6 simultaneous devices. Keeps no logs. 30 day money back guarantee. SaferVPN is quite possibly the fastest VPN we’ve tested to date. If you need a VPN to watch 4K video, this is a good bet. The server selection is a bit smaller than others on this list, but you still get access to over 700 servers in 34 worldwide locations. Apps are available for Windows, MacOS, iOS, and Android. A Chrome extension also makes it simple to bypass geo-locks in your browser or on Chromebook’s Chrome OS. The company uses strong encryption standards and records no logs of your online activity, but does log your source IP. The apps are extremely easy to use, and connecting is as simple as a single click. Simple Interface:SaferVPN achieves great speeds. Reliably unblocks YouTube and has great privacy credentials. Lacks popular features and doesn’t work in China. Includes 30-day money back guarantee. VyprVPN owns and operates its own global network of more than 700 servers in over 70 worldwide locations, ensuring maximum privacy and top-notch speed. Easy-to-use apps are on offer for Windows, MacOS, iOS, and Android. Apps for certain smart TVs and routers are also available. If you believe your internet connection is being throttled because you’re using a VPN, you can avail of VyprVPN’s proprietary Chameleon protocol for an extra fee. All connections are 256-bit encrypted. INDEPENDENT NETWORK:VyprVPN is an all-round solid choice. Stores no logs, offers great security and unblocks most streaming services. A little pricey for some. You can try it with a 30-day money-back guarantee. PureVPN boasts the largest number of countries available out of any VPN on this list, touting over 2,000 servers in 141 countries. That means you can unblock YouTube videos pretty much everywhere. Apps are available for Windows, MacOS, iOS, and Android. Connections are encrypted with the 256-bit AES standard, but there’s no option to use the OpenVPN protocol with the apps, so we recommend L2TP/IPSec, SSTP, or IKEv2 instead. GREAT APP:PureVPN is easy to use. Reasonably priced, unblocks YouTube, good streaming speeds although scored lower on our privacy assessment and is prone to dropping connections. 7-day money back guarantee. A quick search on Google or your device’s app store will likely turn up a litany of so called « free » VPN services. While these may seem enticing, we strongly discourage using them without a thorough examination of their privacy policies and terms and conditions. Many of these VPNs log your traffic, sell the data to advertisers, and in some cases even inject advertisements into your browser. Some carry malware payloads that can infect your device. Most free VPNs have a much more limited selection of servers, cap your downloads, and limit bandwidth. You may have to wait in a queue to connect. For these reasons, we strongly recommend one of the paid options above, all of which offer a money-back guarantee, free trial, or both. Note that you will need a US credit card or Paypal account to subscribe to YouTube Red. If you’re a subscriber, just connect your VPN to one of those countries to access Red content. Paid videos include rentals and purchases of movies and TV shows directly from YouTube and from individual uploaders. Uploaders can usually set their own terms, so the geographic restrictions vary widely. Not only can you get access to content not available in your country with a VPN, you might also find that other countries offer a better deal. For example, Star Trek: Beyond costs $14.99 in the US, but only 11.99 Euros ($13.42) in Europe. If you buy or rent enough movies and TV shows, a VPN can easily pay for itself.